Summary of W. Michel: On the Manuscript "llustrated Mirror of Dutch Plants" and its Background. 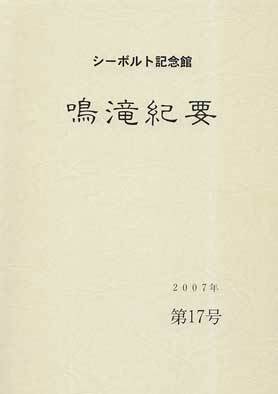 The published version is available at Kyushu University Institutional Repository. On the "llustrated Mirror of Dutch Plants" and its Background. In 1667 the Japanese government turned its attention to the cultivation of imported plants as well as the investigation of local botanical resources and the destillation of pharmaceutical oils. The Dutch East India Company was requested to provide with plants, seeds and had to send an experienced specialist to Japan. The scroll "Illustrated Mirror of Dutch Plants" (28 x 1337cm, 81 illustrations, dated 1679) is the only Japanese source showing the name of Frans Braun, the second of two pharmacists dispatched to Nagasaki. An analysis of Dutch and Japanese sources revealed that this scroll goes back to reports on field work conducted by Braun and his predecessor Gottfried Haeck in the vicinity of Nagasaki during the late 1660s and early 1670s. Obviously the Japanese, while using Chinese books for their description of plants, had already become aware of the specific properties of their own flora. Thus the emancipaction of Japanese botany from its Chinese model began much earlier than presumed by previous researchers.